P.S. 142 is a high poverty school so close to the Williamsburg Bridge that during recess children can hear the cars above them driving to Brooklyn. Almost all of the 436 students qualify for free lunches. On the first day of school, when they walk into Frances Sachdev’s kindergarten class in Room 117, most are already behind. By age 4, the average child in an upper-middle-class family has heard 35 million more words than a poor child. Studies have shown that while about two-thirds of kindergartners from the wealthiest 20 percent of households are read to at home every day, about a third of children from the poorest 20 percent are. Experiences that are routine in middle-class homes are not for P.S. 142 children. When Dao Krings, a second-grade teacher, asked her students recently how many had never been inside a car, several, including Tyler Rodriguez, raised their hands. “I’ve been inside a bus,” Tyler said. When a new shipment of books arrives, Rhonda Levy, the principal, frets. Reading with comprehension assumes a shared prior knowledge, and cars are not the only gap at P.S. 142. Many of the children have never been to a zoo or to New Jersey. Some think the emergency room of New York Downtown Hospital is the doctor’s office. The solution of the education establishment is to push young children to decode and read sooner, but Ms. Levy is taking a different tack. Working with Renée Dinnerstein, an early childhood specialist, she has made real life experiences the center of academic lessons, in hopes of improving reading and math skills by broadening children’s frames of reference. The goal is to make learning more fun for younger children. While many schools have removed stations for play from kindergarten, Ms. Levy has added them in first and second grades. One corner of Ms. Krings’s room is for building blocks, another for construction paper projects. There are days when the second grade smells like Elmer’s glue. Several times a month they take what are known as field trips to the sidewalk. 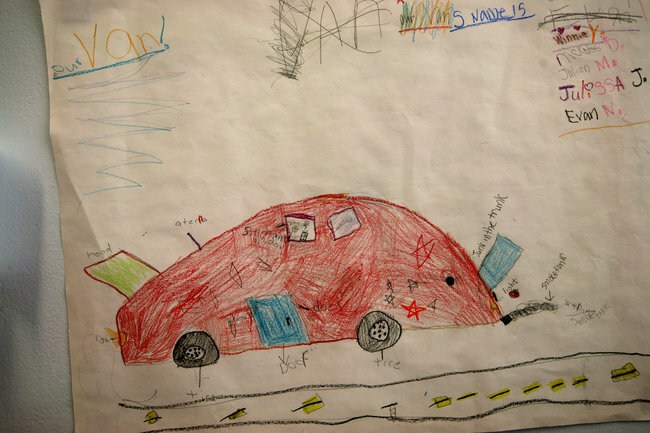 In early February the second graders went around the block to study Muni-Meters and parking signs. They learned new vocabulary words, like “parking,” “violations” and “bureau.” JenLee Zhong calculated that if Ms. Krings put 50 cents in the Muni-Meter and could park for 10 minutes, for 40 minutes she would have to put in $2. They discovered that a sign that says “No Standing Any Time” is not intended for kids like them on the sidewalk. When reading, children are taught to make predictions of what is to come in a book, based on a variety of evidence — the cover, chapter headings, foreshadowing. Ms. Krings’s students used their field trip booklets to do the same before their visit to the Delancey and Essex Municipal Parking Garage. Several predicted that drivers would have to pay to get in. To be out of school on a sunny winter’s day and walking to a municipal parking garage — it doesn’t get any better than that. Kammi Poom skipped the whole way. Alan Zhao thought it was hilarious to walk like Frankenstein. Evan Nuñez, the smallest, hurried so he could be up front with Ms. Krings. “There it is,” shouted Julissa Jirmnson. All of them had passed a municipal parking garage before, but few had been inside one. They walked up a ramp, past a blue handicapped zone, orange cones and a red Big Apple sign, then watched the cars coming in. They could see the drivers press a green button and take a ticket, but they didn’t see anyone paying money as they had expected. In such situations, Ms. Krings recommends consulting an expert, so they asked the man standing in the front booth, whose name was David. “I knew it,” said Ariana. “I knew it, too,” said Kammi. “I want a decibel level of zero,” Ms. Krings said as they walked back into the school. For the next hour they did field trip follow-up. Ms. Krings gave them Muni-Meter math problems. At the block station the boys kept building racing tracks and knocking them over while Yudy He Wu made a municipal parking garage and lined the top with Matchbox cars. They never stopped chattering to one another, which Ms. Krings said was good. 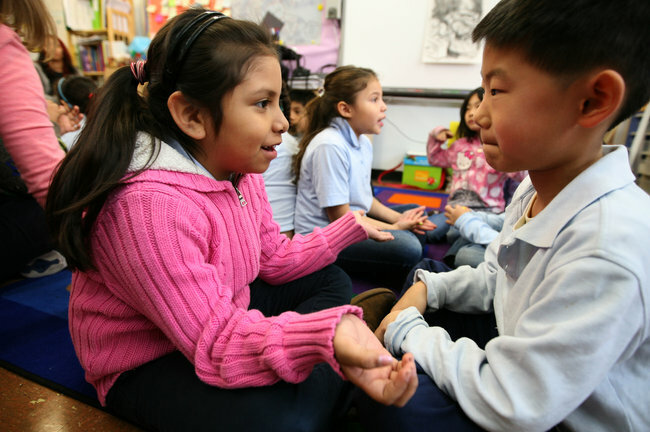 “They’re working together to resolve problems and developing their verbal skills,” she said. When Ms. Dinnerstein first came to the school, staff members ran for cover. One of the miseries of being a teacher is that every year, someone shows up from Tweed Courthouse headquarters with a new plan to raise test scores. But after four years of academic lessons built around sidewalk trips to the Essex Street Market, the subway, several bridges and a hospital emergency room, Ms. Krings is moved by how much learning goes on. This entry was posted in Investigating Choice Time: Inquiry, Exploration, and Play on February 17, 2012 by Renee. I love this article! I am a huge fan of experiential learning. I am a mother of 2 young boys who love to be out in the world experiencing nature, technology, science, culture, etc… When I talk too much to my 2nd grader he tunes out, stops paying attention and goes off into his own world. When he is fully engaged using multiple senses, he learns so much more and is so passionate about the process of learning. We need more educators who can see that traditional learning models are out-dated and often leave kids uninspired. Zoe, thank you. I think that the voice of parents in support of this type of education is so important! 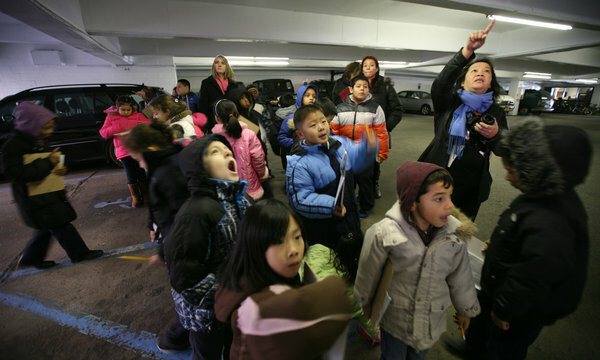 Thank you for sending me the article about the parking garage field trip and your work atPS 142. I loved reading about the fun learning going on there. Thank you Jennifer. Thank you too for supporting the project at P.S. 142!